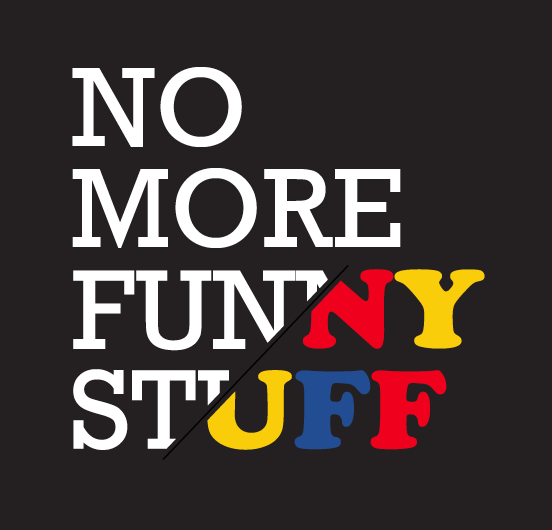 “A Look Behind The Scenes” is a blog by Fitchburg State University students surrounding the mid-career retrospective Jeffu Warmouth: NO MORE FUNNY STUFF at the Fitchburg Art Museum, February 9 – June 1, 2014. The exhibition features cutting edge works by local Fitchburg artist, Jeffu Warmouth, chronicling his evolution as an artist. In the fall of 2013, Robert Carr’s Document Design class designed both the exhibition and corresponding media tactics used to promote the show, including this blog. The content you see here is generated by students, who wanted to share what it was like to go through the process of designing an art exhibition, creating promotional tactics, and what it means to work as a team. For more information about the exhibition, visit the Fitchburg Art Museum’s official website at www.fitchburgartmuseum.org. To learn more about Jeffu the artist, check out his official website at www.jeffu.tv. 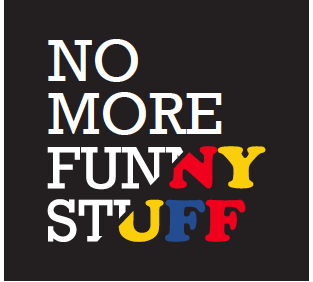 “A Look Behind the Scenes” is a blog by Fitchburg State University students chronicling the process of designing the exhibition and marketing materials for the mid-career retrospective Jeffu Warmouth: NO MORE FUNNY STUFF at the Fitchburg Art Museum, February 9 – June 1, 2014. Jeffu Warmouth: NO MORE FUNNY STUFF is almost here!